Why Use Promotional Pens to Market Your Business? Home | Marketing | Other Marketing Strategies | Why Use Promotional Pens to Market Your Business? A company will not do well without a solid base of customers. There can be no customers if no one knows about your company. This means that the owner of the company needs to come up with a good marketing campaign. Smaller companies may not have enough money for a fancy advertising effort. However, using promotional pens could be a great way to get your name out there. Pens are really inexpensive. You can get pens with your information printed on them for just a few dollars. You don’t have to opt for a fancy pen. Taking a sharpie and putting your logo on it with a label maker would be a great way to get your name on a pen. Making the label on your computer allows you to add graphics to it as well without having to spend extra money to do so. Everyone needs something to write with. This means that there are plenty of opportunities for your name and company logo to be seen. Getting your name in front of the customer as many times as possible may convince that person to give you a call when they need what you provide. Pens are a dime-a-dozen. This means that you may very well see your pens in the hands of people who aren’t a part of your target market. This may seem like a bad thing at first. However, this just means that your name is getting out there to more people. The person who has your pen first may lend it to someone at work. That pen may then be picked up by the cleaning lady by accident. No matter where it travels, it will increase visibility for your company. Your logo is going to be featured on your pen. If people recognize your logo in public because of your pen, you are doing something right as a company. Increased brand recognition is the first step to acquiring new customers. At the very worst, you can rest assured that more people will at least inquire about what your company does. Web traffic will hopefully go up enough to get your site listed near the top of the search engine results. 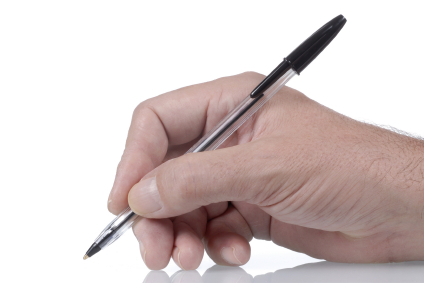 If you are an independent contractor, you can put your personal contact information on the pens that you hand out. You can put links to your website, social media profile and phone number on the pen. Using color combinations that will draw attention to your information will make it easier to promote yourself with this product. Using a promotional pen is a great way to get the word out about your company. It is a relatively inexpensive way to make sure that the public knows who you are and where they can reach you. Otherwise, you are not going to be able to gain the clientele needed to make a profit for your business.